Marcella has been a member of PYD’s online learning platform for the past two years. Below, we wanted to share some of the incredible work she’s been doing. Thanks for your commitment to disability inclusion! Tell us a bit about yourself and your organization. When, how, and why did you get started? My name is Marcella Eubanks, and I am the owner of Bravery Kids Gym located in Fayetteville, NC. Bravery Kids Gym is an inclusive indoor play facility that offers a fun, safe and stimulating environment to promote child development through play. After my son Brandon was diagnosed with autism, I recognized the need for an inclusive play setting that offers a variety of options for purposeful play and takes into consideration the therapeutic needs of children with disabilities. 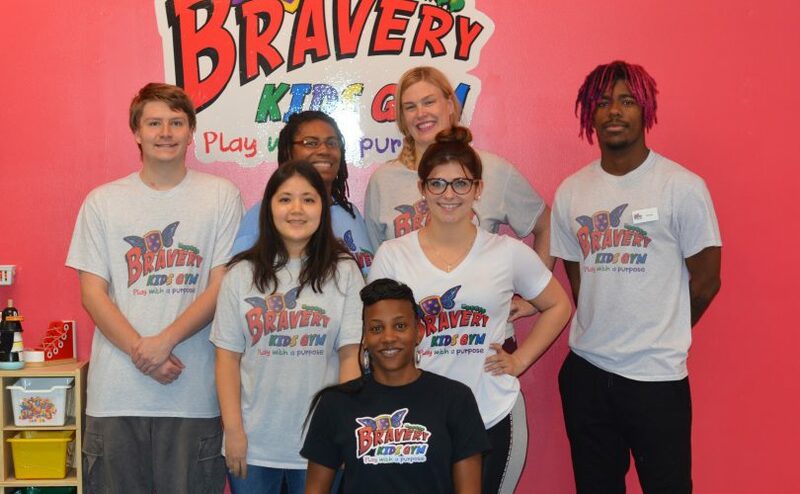 Bravery has been open since July 2016 and, offers open gym play, events, classes, scheduled drop off care, birthday parties and more. What drives and motivates you in doing this work? Being able to witness the excitement when children first arrive to the gym, watching them enjoy activities while interacting with their peers, with and without disabilities. I love to see the parents approve as their child experiences moments of social interaction and accomplishment. What motivates me the most is recognizing that there is a need for more inclusive environments like Bravery everywhere. You’ve been a member of our online learning platform for nearly two years now. How has PYD helped you and your organization? PYD has helped by providing access to a variety of courses pertaining to youth with disabilities. A few of my favorites were: Supporting Youth with Autism; 7 Principles for Designing Inclusive Programs, Events, & Activities; and Using Play to Foster Inclusion Among Youth of Differing Abilities. There’s no handbook on maintaining an inclusive environment, and it’s difficult to find someone to discuss ideas with and help to solve problems that may arise. I specifically recall speaking with Steve when creating Bravery’s Safe Play Policy, which presents options for supports available in the event that unsafe behavior occurs. He helped brainstorm solutions and was able to give me feedback upon completion. We’ve spoken before about how you’ve started employing autistic staff. Could you explain a bit about why this was important for you? It was an intentional decision to hire employees with a diversity of ways to contribute. It’s important not to categorize skills and disability. Hiring employees of all abilities created opportunities to be creative in the ways we are able to operate and serve clients.